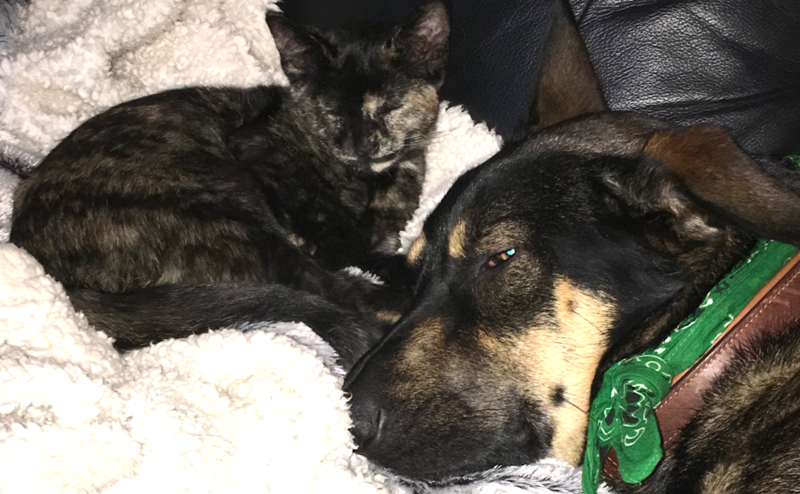 Sadie, a sweet, young tortoiseshell kitten, came into our care at the BC SPCA Surrey Education and Adoption Centre in late November of 2018. 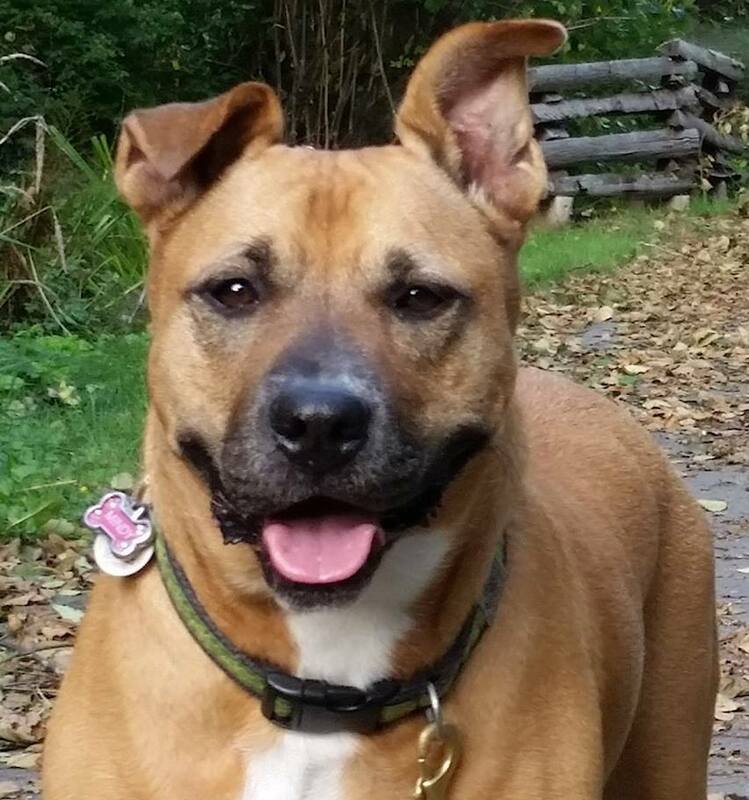 When Keela came to the shelter just a week later, she could tell that Sadie was full of energy but also very easy going—the perfect traits to fit right in with her family. Keela didn’t waste any time in adopting Sadie. 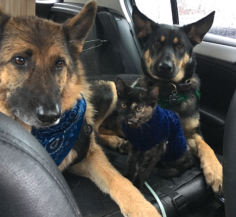 It takes a special kind of cat to not only coexist with two large canine siblings, but to also join them on their outings! We love Sadie so much. We can’t believe how lucky we got with her. She has fit in so well with our family right from the beginning. She comes for walks with us and sits on my shoulder when she is tired of walking. Sadie has so much energy and is so playful. Thank you, Keela, for adopting Sadie as an important part of your furry family. We can see just how comfortable she is around her dogs. Thank you for making such a big effort to socialize Sadie with the world around her. We hope you and your pups give her some extra love from us.